I just wanted to share a quick image from yesterday. I will be sharing a favorite pancake recipe this week. 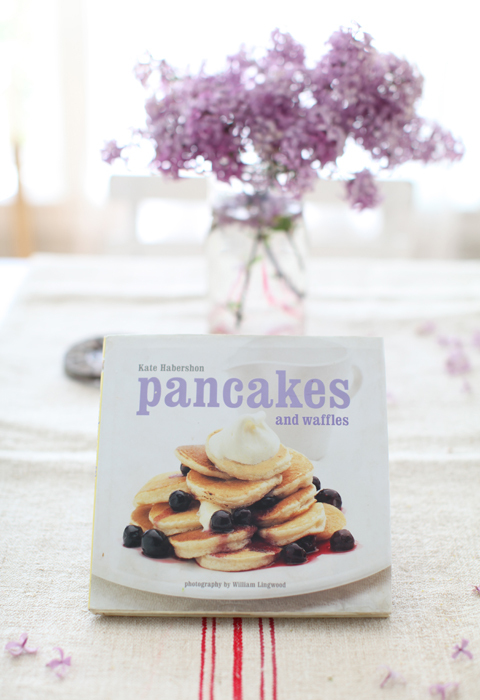 The recipe is from my favorite breakfast cookbook Pancakes and Waffles by Kate Habershon. I posted about a waffle recipe from this cookbook last year. 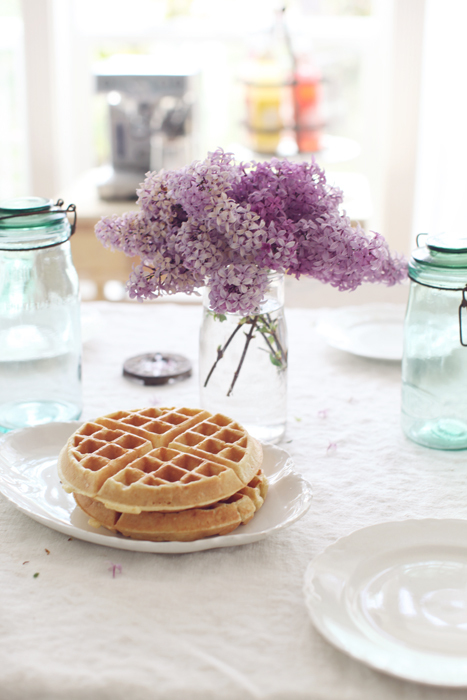 I shot these last two images last spring for my post about waffles. Looks beautiful, I can't wait for the lilacs to come out here!!!! Hope you had a lovely easter weekend! Tout ce que j'aime... J'arrive pour une dégustation !!! Hi Maria...those look so good! Thank you for sharing your beautiful pics! sooooooooooo beautiful.. 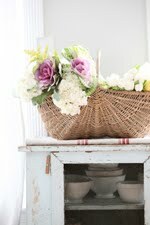 I love your blog so much..
perfect choice of flowers. 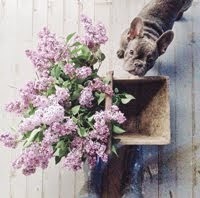 Lilacs are the most beautiful flowers, and your setting is just perfect. Maria your pics are so inspiring...there's no other like you. Yum. Love waffles but haven't gotten used to the sweetened ones that are often sold here in France. Today was a holiday with long, leisurely lunches so these may just be the answer for something to munch on tonight! I'll try out the recipes. Though I live in Belgium (as in "Belgian" waffles) I haven't found the perfect recipe yet! Everything looks so beautiful, and delicious. Beautiful Flowers!!! Love your photos!! How lovely. Breakfast is my favorite meal of the day. I will look for the cookbook! such beautiful pictures!!! would love to have you enter my giveaway! The waffles and pancakes look delicious Maria! 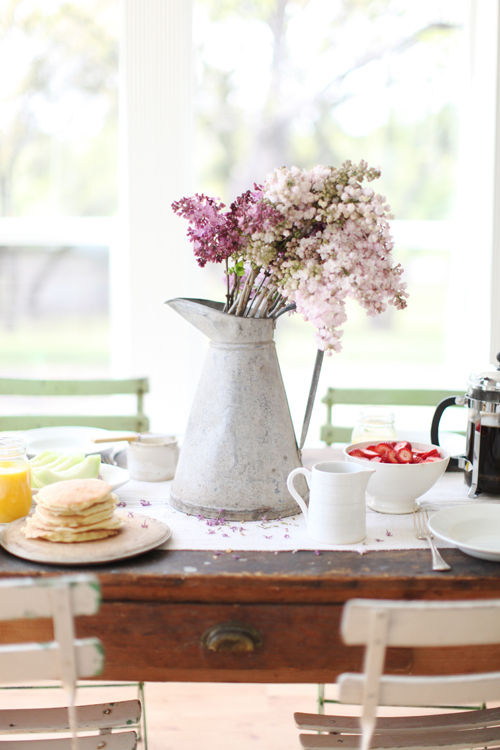 And your table setting is just gorgeous, love the lilacs! everything is delicious over here: the table setting, the pure light, teh flowers, the waffles, and your photos... just divine. 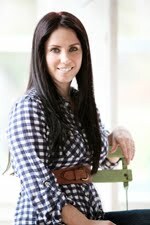 So relaxing...in the craziness of selling my home, I love resting my eyes on your gorgeous blog! Amazing blog and amazing life! !